Monday is pizza time at home. 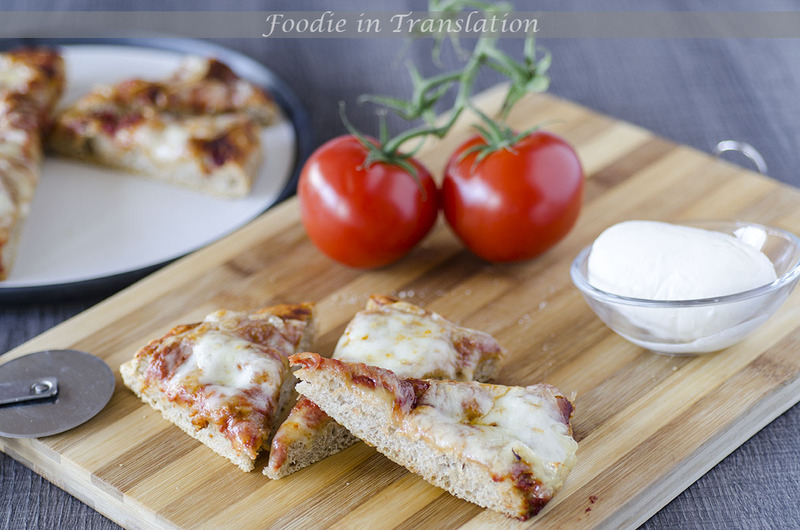 We start with the most known pizza worldwide: the margherita pizza. It requires only two ingredients or three, if you want to add basil (I didn’t use it because some guests doesn’t like it). Prepare the pizza dough following the procedure on this page: whole-wheat pizza dough. Wash and clean the tomatoes, blend them and season with olive oil and a pinch of salt. Preheat the oven at 220°C (430°F). 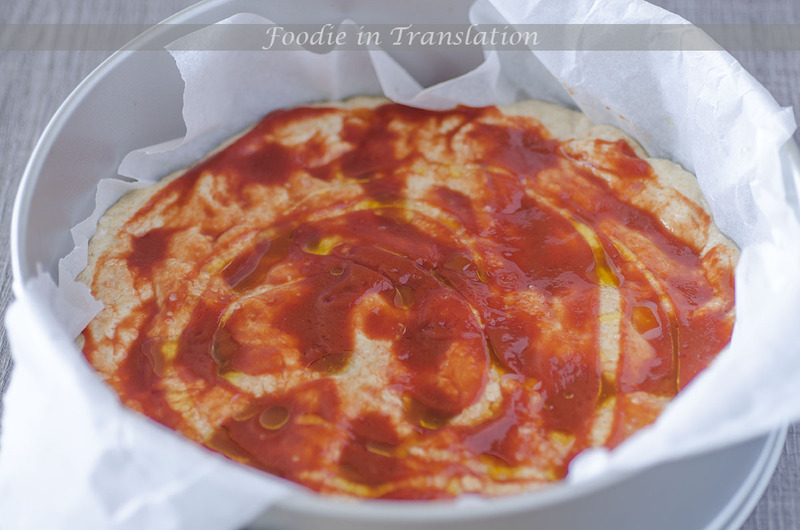 Spoon the tomatoes sauce in the center of the pizza and spread it out. Season with olive oil and salt and let it rest until the oven is ready. Cut the mozzarella cheese and let it drain all the liquid. Put the pizza into the oven and let it bake for 10 minutes. Remove it from the oven, distribute the mozzarella cheese on the topping, put the pizza back into the oven and bake for other 10 minutes. Once the mozzarella cheese is well melted, you can remove the pizza from the oven. The homemade margherita pizza is ready. Cut it into slices and enjoy it!! P.S. : If you want add some basil, you only have to put some fresh basil leaves on the top once the pizza is cooked.